Hello. I recently received an e-mail from a teacher wanting to visit my classroom to see how my students are using the Zune MP3 player in class for instruction. I marked the e-mail for response but after two days of searching cannot find it. If you sent me an e-mail about visiting my classroom please send me another e-mail. You are more than welcome to visit my classroom but I need your contact information again. Always remember. It struck me today when I was taking attendance in my 8th grade American history classroom and realized that the students in my room were only in the first grade when this day changed our country forever. It is our duty to remember, we owe them this at the very least. This contest is designed for Missouri and Kansas 9th - 12th grade students. Registration will be $25 per team. The deadline for entering is October 3rd. Only one team from each school may participate. Private, parochial, public and home schools are all welcome to register for the contest.Format Groups of up to six students from each school will participate in teams. They will answer questions on a variety of questions relating to Presidential campaigns and elections in American history. 2) National Issues Forums for Missouri and Kansas High School Students"
The New Challenges of American Immigration On October 11 & 18 from 9:30 am to noon, the Truman Library will host two High School Student National Issues Forums on "The New Challenges of American Immigration." While the students are engaged in their forums, the teachers will be separately trained by National Issues Forums Institute moderators how to organize and conduct the type of dialogue that comprises NIFI forums. The deadline for RSVPs is October 6 for the October 11 forum and October 13 for the October 18 forum. I am always amazed at the number of high quality professional development opportunities we have as social studies teachers. This year I hope to spread the word about more of these opportunities. Some of these will be regional, such as the posting today, and others will be open to anyone regardless of your physical location. Today's item is from the Winston Churchill Memorial and Library located in Fulton, Missouri on the campus of Westminster College. It is an excellent museum and I highly recommend it to any history teacher. Today I'm sharing some information on an upcoming teacher workshop at the museum. A one-day Teacher Breakout Workshop will be held Saturday, Sept. 20, from 9:30 a.m. to 3 p.m. at fhe Winston Churchill Memorial and Library in the United States, located on the Westminster College campus in Fulton, MO. This event is open to any 4th or 5th grade teacher. The cost is $5.00, including lunch, and enrollment is limited to 20 teachers. The first of three professional development workshops, the Elementary School session, will provide in-depth training about the museum’s education curriculum specific to the 4th and 5th grade classrooms, including both the onsite and outreach programs. Subjects touched upon on the elementary level include Geography, Social Studies and Communication Arts. We will offer professional development credit. Upcoming workshops are Middle School Teachers – Saturday, December 13, and High School Teachers – Saturday, March 21. Our 3-day teacher workshop is June 25-27. For more information and to RSVP, please contact Mandy Crump, Education/Public Programs Coordinator, at 573-592-6242 or Mandy.Crump@churchillmemorial.org. The Winston Churchill Memorial and Library in the United States is located on the campus of Westminster College in Fulton, MO, the site of Churchill’s famous “Iron Curtain” speech. 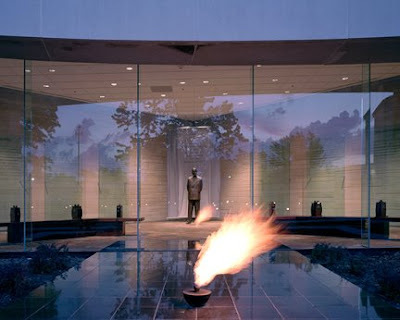 The Memorial was founded in 1969 to honor the life and legacy of one of the greatest leaders of the 20th century. It is housed within the Church of St. Mary the Virgin, Aldermanbury, a 12th century church from the middle of London, redesigned by Sir Christopher Wren in 1677 and relocated to Fulton in 1969. The Undercroft of this beautiful and historic Wren church is a museum filled with a priceless treasury of artifacts and information relating to the life and times of Sir Winston Churchill. 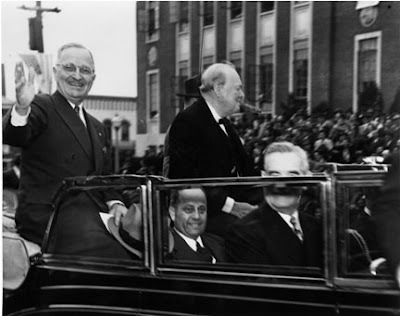 The Churchill Memorial is open from 10 a.m.-4:30 p.m. daily. Admission is Adults: $6.00; Senior Citizens, AAA and AARP members: $5.00; Youth (12-18): $4.00; College Students: $4.00; Children (6-11): $3.00; and Children (5 and under): free.